HF / News - Twenty One Pilots invited Dimitri Vegas & Like Mike on stage during show to perform ‘Crowd Control’ in front of 100,000 people! This weekend alternative rock outfit Twenty One Pilots played the closing headline slot at Lollapalooza Brasil and during their show invited dance music DJ duo Dimitri Vegas & Like Mike to join them on stage for a very special ‘Crowd Control’ in front of the 100,000 crowd. The famed US band featured the dancefloor surging ‘Crowd Control’ track during all three of their top billing performances for the South American editions of Lollapalooza to truly seismic effect. With last night’s mainstage show in São Paulo seeing the songs producers Dimitri Vegas & Like Mike and the colossal Twenty One Pilots coming together for one of the most insane dance-rock fusions of ‘Crowd Control’ to date! Headlining the electronic division of Lollapalooza’s enormous line-up, Dimitri Vegas & Like Mike didn’t fail to make an ever-lasting impression on the South American trio of dates for the iconic festival - that was conceived and created by Jane's Addiction legendary singer Perry Farrell. Bringing fans closer to the experience Dimitri Vegas & Like Mike, along with ‘Crowd Control’ collaborators W&W, have also seen a wave of big name electronic music stars that include David Guetta, The Chainsmokers, Skrillex, Steve Aoki, Marshmello, Tiësto, Hardwell, Armin van Buuren, Afrojack and Axwell & Ingrosso all join in on the Crowd Control’ action in recent times. Whether during a mainstage festival show or a gigantic arena show, the ‘Crowd Control’ trend continues to takeover dancefloor the world over. 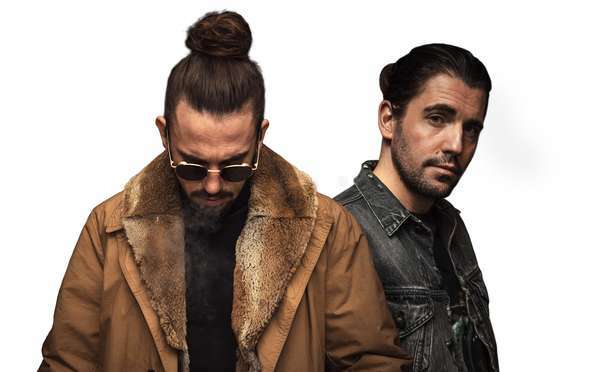 The No.2 DJs in the DJ Mag Top 100 DJs Poll for the third year in a row, Dimitri Vegas & Like Mike are two of the most prominent faces of the electronic scene in a generation. From mainstage performances on the biggest global stages from Creamfields, EDC Las Vegas, EXIT all the way to their home of Tomorrowland, the Belgian brothers also boast an impressive body of studio work having collaborated with the likes of Gucci Mane, Wiz Khalifa, Ne-Yo, Martin Garrix, Diplo and David Guetta. Their current pop-leaning anthem ‘Selfish’ features Kosovan singer-songwriter Era Istrefi and refreshes the iconic hook from Toto’s ‘Africa’ giving it a tropical twist to captivating effect.